Dear Otto: Should Students Space Once or Twice After a Period? 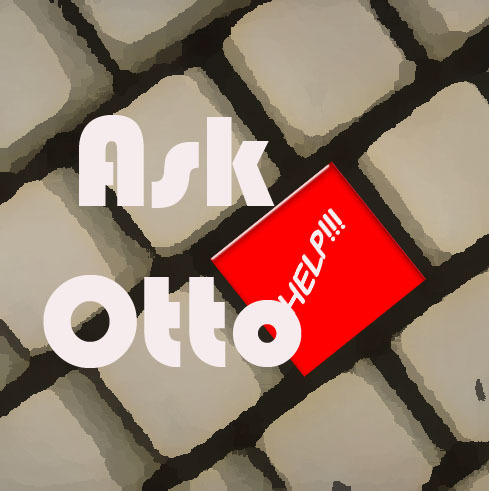 Dear Otto is an occasional column where I answer questions I get from readers about teaching tech. If you have a question, please complete the form below and I’ll answer it here. For your privacy, I use only first names. In teaching 5th and 6th graders (I became the tech. teacher this year), do you teach them to space once or twice after periods and colons. It seems to me that what I see on the web/business world is that there is no longer a need to space twice. Yet my students’ homeroom teachers tell them to space twice. I want to teach them what is correct but I also do not want to confuse them. A: That’s a question I get a lot–and often people are sure they know the answer, just want me to validate their two-space conclusion. I’m sorry to be the bearer of bad news, but two spaces is the floppy disc of keyboarding–we’ve moved past it. It’s not wrong; you don’t have to retrain yourself to go space instead of space-space, but with new keyboarders, teach them one space. It started in published documents. They wanted to save room, which saved money, so eliminated that extra space, and the practice rolled into everyday use. Some people still teach two spaces, but preferred is one. And if you want to teach kids the approach that will get them through college, it’s one. Thanks for this question. It’s one that always comes up. We need a great big bull horn to get the word out better. Jacqui Murray is the editor of a technology curriculum for K-sixth grade, creator of two technology training books for middle school and three ebooks on technology in education. She is the author of Building a Midshipman, the story of her daughter’s journey from high school to United States Naval Academy midshipman. She is webmaster for six blogs, an Amazon Vine Voice book reviewer, a columnist for Examiner.com, Editorial Review Board member for Journal for Computing Teachers, Cisco guest blogger, IMS tech expert, and a bi-weekly contributor to Write Anything. Currently, she’s editing a thriller for her agent that should be out to publishers this summer. Contact Jacqui at her writing office or her tech lab, Ask a Tech Teacher.